Anybody who thought brick and mortar sales and retail stores would not make it until 2020 (because of ecommerce), ahem, has been proven wrong. Even ecommerce giants, as well as software vendors to these giants, agree that retail stores are here to stay, and in-store customer experiences are as relevant as they ever were.With so much to gain from enhancing in-store experiences for customers, it’s obvious why store managers and businessmen are so in favor of digital signboards to help customers with product profiling, customer service, price comparison, and what not. Here’s more on why and how you can use digital signage to enhance your store visitors’ in-store experience. A customer’s purchase decision journey makes for the world’s most complicated flowchart. There are so many decision points, and so many alternative paths! No wonders, converting footfall into real sales is such a pain for retail stores. Pricing, alternative products, perceived self-image after ownership – all these are complicated factors, and even your veteran salesperson might struggle in pushing a few customers towards the purchase decision. Digital signage is the solution, allowing you to showcase the product in action and in real life environment, via high quality video. A customer would buy that white shirt if you digital signage shows how classy it looks with a regular pair of blue jeans, as would a customer who sees how amazing his bedroom would look with these new bed and mattress. A retail store can’t spend too much on salespeople staffing, that’s a fact, even more so with cost pressures and intense competition. Why not let your digital signboards double up as smart salespeople who can help bridge the vital psychological gap that separates a shopper who’s merely interested, and a shopper who’ll take out his wallet and make the purchase. With digital sign boards, you can showcase all kinds of product alternatives, can show up-selling and cross-selling options, can display vital product specifications, and even run demo videos. Digital sign boards help customers understand products better, overcome the uncertainly caused by insufficient information. The right information, given in crisp messages, and delivered in a non-obstructive manner, enhances shopping experiences manifold and by an exponential factor. 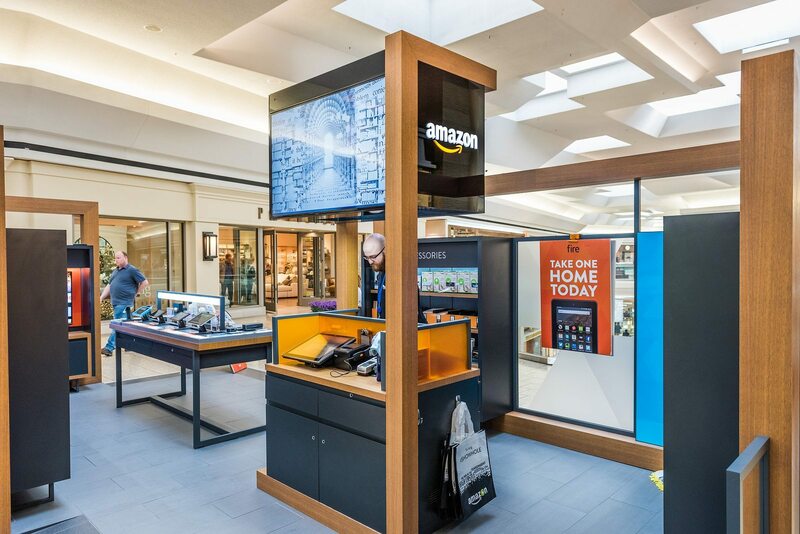 Digital signage comes as a blessing for many retail stores. To begin with, your digital sign boards help shoppers find their way to the right product shelves, and to the right floor if your retail store is a multi-story setup. Then, you can broadcast information such as change in billing counters, close down of a store section, and even the weather outside to ensure your store visitors have the most seamless and self-driven store experience. With digital signage solutions, you can automate and schedule messages to match the time of the day, peak hours, sale periods, etc. This makes your customers feel more involved, as they appreciate getting contextual messages rather than the usual slew of in-your-face salesy messages. Then, you can even leverage sophisticated digital sign boards to showcase customer testimonials (nothing better than having your customers put you over the top by their outstanding and positive comments about your service or product), best-selling products, best price offers, and buying guides. All this makes the shopper’s in-store journey more controllable for you as a store manager, apart from enabling them to feel valued. This is, believe us, just the beginning of what you can achieve for your retail store by using digital sign boards. Increased footfall, better management of customers’ in-store journey, and higher conversions – what more can a store manager ask for! Digital sign boards are the perfect solution; get more information and do your store a world of good. And your employees!